The project team strongly believes that environmental awareness is the key to both the conservation of species and sustainable use of natural resources. Knowledge of this process should be included in the school curriculum. To this end we have worked with schools, teachers and children in the project area-, covering four SPAs of the European ecological network "Natura 2000" in north-eastern Bulgaria. Within the project we carried out a series of free training sessions for teachers from schools in Dobrich and Silistra Districts. Most of them were organized in collaboration with the Regional Education Inspectorate (REI) - Dobrich of the Ministry of Education and Sciences (MES). BSPB education experts have also participated in several annual meetings of RIE experts in science and in the national conference on environmental education, to reach an even wider range of teachers. 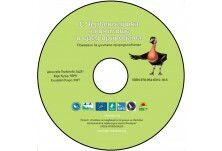 In 2012 we published the first part of the education manual for teachers, "With Redbreastie at school and in the wild", which is aimed at diversifying the subjects "Man and Nature" and "Biology" with interesting quizzes and games related to the conservation of the Red-breasted Goose and its winter habitats. The second part, which came out subsequently, targets a wider range of subjects - mathematics, Bulgarian, English, geography, technology, etc. The two parts of the handbook, supplemented with other useful and entertaining materials, are included in the electronic guide for the teacher - environmentalist, which aims to help diversify the learning process and make a fun for the children. This tool can be found in the section "Educational Materials". A theatre play was developed with the children from “Asen Zlatarov” school in Shabla, to be performed at Kite Festival - Shabla. 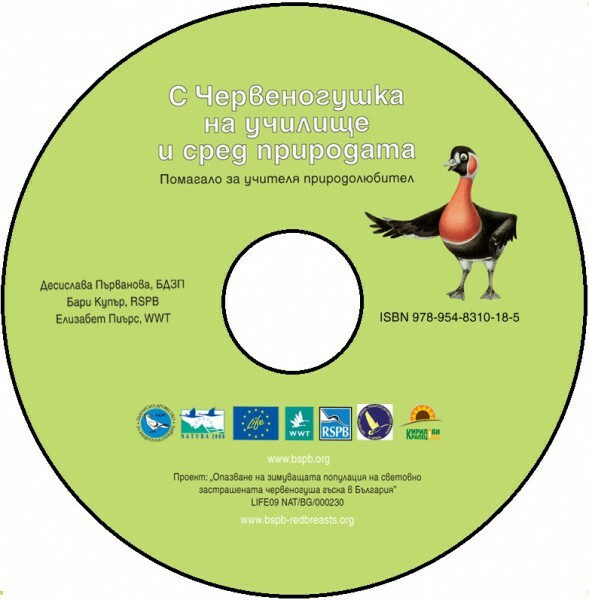 The play addresses the various treats that the Red breasted Goose faces during its long journey from its breeding to its wintering grounds in Coastal Dobrudzha and appeals to a more responsible behaviour from the hunting and farming community.